Telemark parts by Kreuszpitze, mostly designed for use with the Kreuzspitze tele-tech kit. Enjoy long travel with the innovative cable system that features swappable springs. Tune your stance with risers and spacers. Tele Cable System - Backcountry heel kit with replaceable springs. Cool design that lets you swap springs to control the tension. Comes with "standard" tension springs installed. Soft and stiff springs available. Soft/Standard/Stiff Springs - Swappable springs for the cable system. Use the Spring Wrench to change springs and dial in your feel. 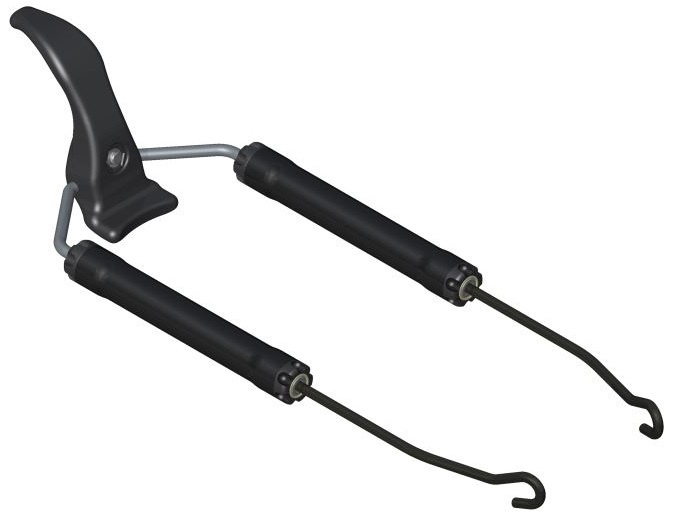 Spring Wrench - Tool to open the cable cartridge and swap springs between soft, medium, or hard. Tele Heel Risers - Simple heel pad and riser system compatible with G3 hole pattern. Riser can be operated with poles. Technopolymer and coated steel. 34g (1.2oz) per heel. 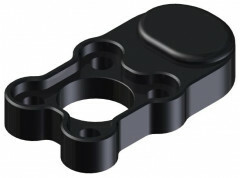 Tele Heel Spacers - Spacer that is mounted under the GT/SCTT heel pieces for use with the telemark kit. 6.5mm thick, 20g. What is the height of the heel plate/riser part? Tom- Heel plate is 17mm from top of ski and the riser is 55mm from the top of the ski. what parts come with the heel kit? the springs only or springs plus heel plate/riser? Things are a bit confusing. The kit comes with just what is pictured, that is the riser for the toe with the part that the cables connect too. And you also need cables, risers, and a whole ski binding to complete your Tele tech kit. 1) Do you know this to be true? 3) Do you know if the Kreuzspitze cartridges are compatible with Voilé rods (note: these have the same gauge and thread as the G3 Targa cables, which is really what i'm trying to use for a DIY tele-tech idea). 1) I haven't heard any info either way. 2) Seeing as Telemarkskier.com is equally as geeky about Tele gear as we are about skimo gear, so I would definitely trust that info. 3) I don't think that they are compatible with anything from Voile. We will reach out to Kreuzspitze to see if we can get any more info about this and will follow up if we hear anything. Any news from Kreuzspitze? Any way to measure the thread on their rods?  Hi Yann, we are unable to measure the travel, sorry. Thanks jbo, actually I was wondering if you were able to determine if a Voilé rod could be threaded into these cartridges... this would depend on the thread. Hi Yann, we don't have any Voile rods to attempt, sorry. I have G3 tele skis with Rottefelle bindings; I need to replace the heel lift part. Would another heel lift work? Hi Diane, we haven't ever stocked Rottefelle bindings and no one seems to have any familiarity with them here. Unfortunately, I don't believe we can give you an accurate answer. 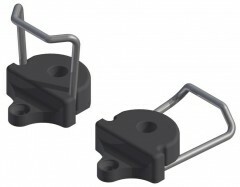 Would I need the tool to attach a set of these springs to the rods on my OMG TTS bindings? Thanks! Hey Jeff! Tough to say for sure if they're compatible or not (we don't carry OMG) but if the spring cartridge is compatible with the Olympus rods then yes you'd need the tool to install them. Hi, can I buy just the KREUZSPITZE spring cartridges/yoke with the stiff springs without the heel lever and side rods? If so, what is the price? Hi Kwan, unfortunately those parts aren't available separately. I broke the heel rod off inside the KREUZSPITZE spring cartridge. I opened it up and can't access the broken piece to remove it. I would like to avoid having to buy a whole new spring cartridge assembly. Is it possible to get just the steel piece inside the cartridge that the heel rod threads into? Hi Barrett, that is not a part that is separately available unfortunately. If it's a warranty case, I'd ask your dealer to handle it for you. Is any mounting hardware included with the heel spacers? If not, do I need to get longer screws/bolts to go with the GT heels and adjustment plates? Hi Andy, the heel spacer kits comes with 8 16mm flathead bolts with 3mm hex heads. They will get your heels on the plates.